The other day I had friends over for dinner and it was a potluck. Sonal, a close friend of mine, prepared Chicken Hyderabadi, an Andhra style chicken that is full of flavor and spice. So nice of her to share her recipe with all of us. Enjoy !!!! 1.Take red chili powder,turmeric,coriander powder ,salt and rub this marinade onto the chicken pieces and keep chicken marinated for an hour or two. 2. Heat a pan, and on medium heat dry roast the masala ingredients and grind to a fine powder. 3. Heat 4 tbsp oil in a thick bottomed pan, add in onions, brown to a golden color, add ginger garlic paste and marinated chicken pieces. Stir for 15 to 20 minutes. Add 1cup (200ml) water,continue to cook over medium heat. 4. Add powdered masala to chicken continue cooking another 10 to 15 minutes until the chicken is cooked. 5. Heat 2 tsp oil shallow fry bell pepper and curry leaves, remove and garnish over the cooked chicken, sprinkle some fresh chopped coriander. Thanks Sonal for sharing such a tempting chicken recipe with All!! 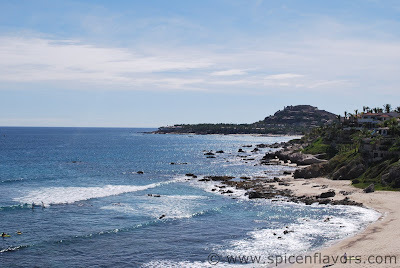 Friends, today I would like to share with you some memories of a cruise trip my family and I took to Mexico in December 2011. We went with our friends and their children. We were eleven of us on this beautiful Carnival Spirit Cruise. It was 7 day trip to Cabo San Lucas in Mexico. It was our first ever cruise trip and obviously we were all very excited. 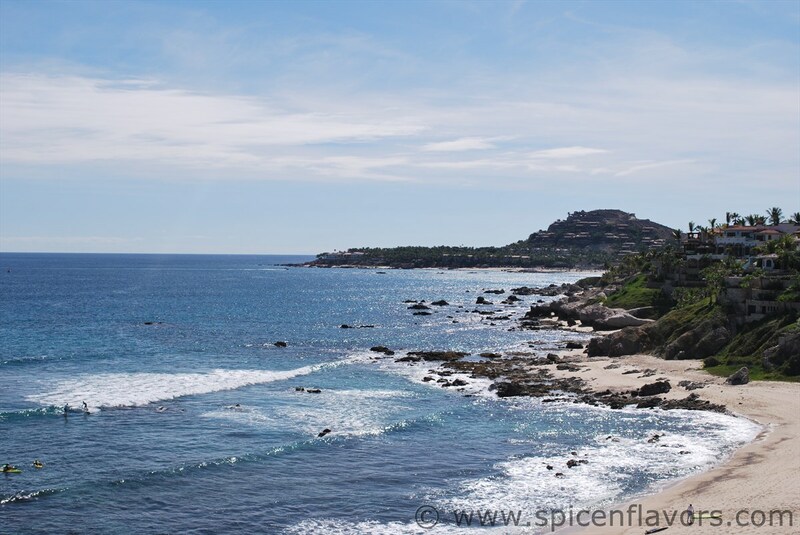 Cabo San Lucas is a beautiful town with gorgeous beach touching the Pacific Ocean. The weather was nice and warm in December, though the water was a bit cold. People in this city were very fun loving and pleasant to talk to. Place and people reminded me of Goa, very laid back, relaxing and fun town. Main language spoken in Mexico is Spanish. Their food culture is quite similar to our staple Indian food. While we have Rotis, Vegetable, Lentils, Meat and Rice, Mexican food consists of Tortillas (similar to Rotis), Beans, Meat, Vegetable and Rice. Their food is very tasty and colorful. We went to this small mexican restaurant which had awesome food and excellent Tequila. 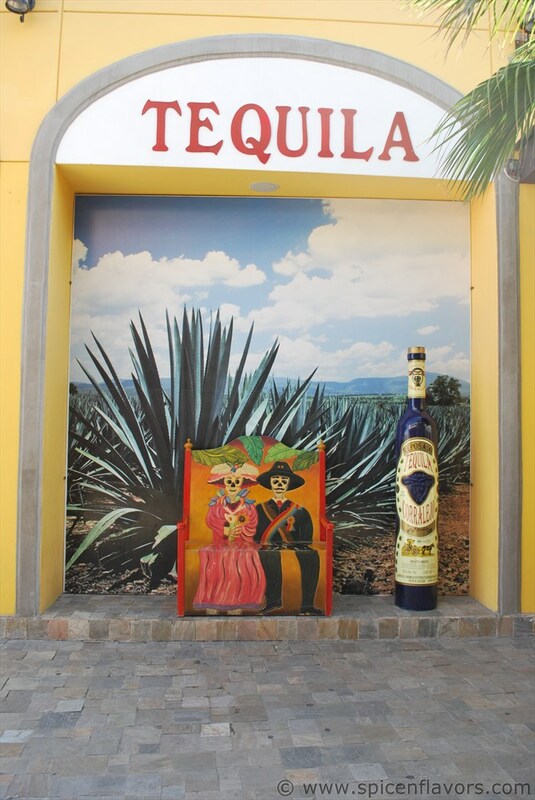 Tequila is famous alcohol from Mexico which is used in making drinks such as Margarita. We enjoyed the food and the Tequila. I am sharing some pictures of the dish we enjoyed. 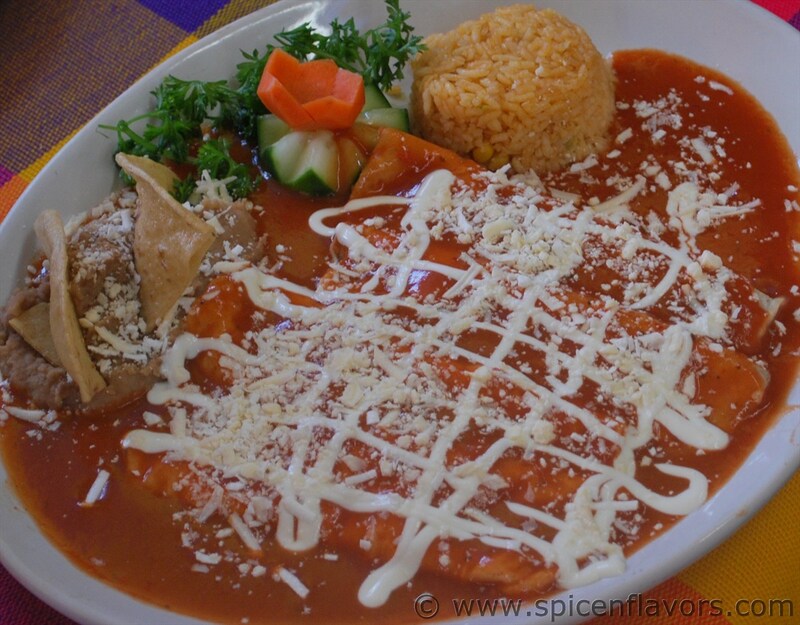 This is Chicken Enchilada. I would also like to share some pictures of Cabo San Lucas and the famous Tequila. A Very Happy Republic Day to All!! Republic Day is celebrated on Jan 26 every year, to remember the day India's Constitution came into force on Jan26th 1950. 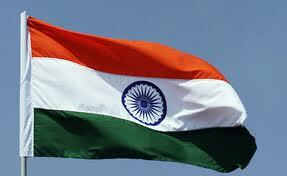 It represents the true spirit of Independent India , this year is the 62nd Republic Day for India. Republic Day is a gazetted holiday on Jan 26 each year, government offices and most business are closed on this day to take a day off from work to celebrate the Republic Day. There is a grand Republic Day parade that takes place in New Delhi, the Capital of India.There are fond memories, as children of viewing the Parade on Television with family in India. 1. Peel onions and either slice or chop into medium sized. 2. In a shallow dish combine gram flour,salt,red chilly powder,cumin seeds,chaat powder, freshly chopped coriander,few curry leaves(optional). 3. Add just little water to make a thick paste.Mix in the onions into the batter. 4. Heat oil and using a spoon drop in spoonfuls of the prepared onion batter into the hot oil and fry until golden and crisp. Remove from oil. 5. 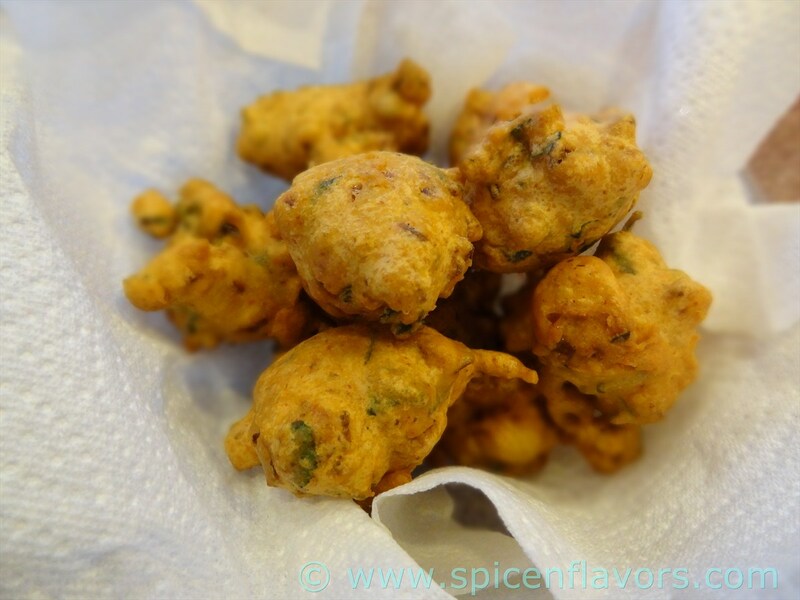 Enjoy crisp hot onion pakodas with coriander chutney and tea. Halwa is a sweet and delicious dessert of India. It is prepared in many different ways. Carrot Pudding is a popular Indian desert and it is prepared by using carrots and milk. Growing up in India , I remember the times when my mom made this dessert and the sweet aroma from the cooked dessert filled the kitchen and other rooms. I have tried to create the same taste, so wanted to share the recipe. It is really easy and the result is rewarding ....hot halwa in cold season..makes a good combination. 2 pound peeled and grated carrots. 1. Heat 1 tsp ghee in a kadai (wok). Add cashews, raisins saute for few seconds, remove and keep aside for garnish. 2. In the same wok, add 3 tbsp clarified butter, add in the grated carrots, stir for about 5 minutes. 3. Pour in the milk, further cook till the milk evaporates.Now add the condensed milk and sugar.Keep stirring well till the milk gets absorbed. Add almonds, cardamom powder & 2 to 3 strands of saffron. 4. Allow to cook for another about 10 minutes on high to medium heat, stirring till all the liquid evaporates, and halwa turns nice deeper color. Garnish with nuts and serve hot. You can also top it with cream and berries. Hope you'll had a good weekend spending fun time with friends & family. We too had friends over for Karaoke night last weekend. Had a great time singing and listening to melodious songs. Each one, sportingly, sang their best and made the evening lively. It was a potluck, so my friends got delicious Indian food, that we all relished. My friend Sonal, prepared a South Indian style chicken dish, which we all loved and asked her to share the recipe with us. For dessert I made an Indian dessert ,called carrot pudding and gave it a western twist by adding fresh cream and berries, all my friends enjoyed the presentation. Here is the photo, I will soon be sharing the recipe of Carrot pudding (perfect for the cold weather) on Spice n flavors recipe page, so look forward to hearing from us...until then Happy Cooking !! 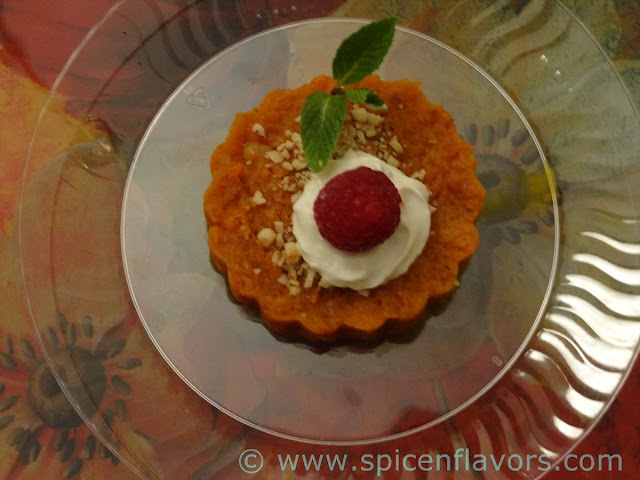 Welcome to Spice N Flavors blog !!! 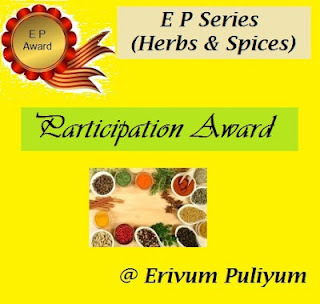 After successful launch of my website, I am now ready to launch Spice N Flavors blog. 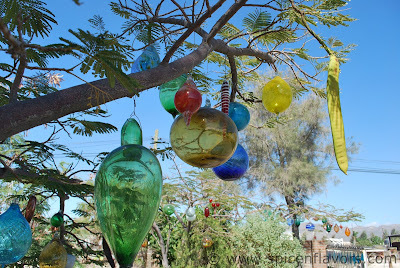 In this blog we will talk about tested recipes, cooking tips, and share travel culinary experiences with photos and videos. The idea is to create a platform on the web for people who enjoy good food, like to cook, try out new dishes, and talk about their food experiences.